to reduce tax burden for your client? The eternal question of customers: the tax burden can be reduced? To answer that, it is necessary to put you in the business situation. The company has innovations that are beneficial for tax purposes? What tax benefits are not yet put to use? There is room for agreements with the tax authority? These and many other questions can make a big difference. For your client. And for yourself. ■ working out share opinions. ■ In addition, done your tax advisor or support activities for the (Senior) Specialist. ■ you are responsible for your own declarabiliteit. ■ Always try to achieve optimal results for your customers through your knowledge in the field of taxation slim. ■ In close cooperation with colleagues from other fields, identifying opportunities and proactively advise. ■ you are contactueel strong, independent, customer-oriented and committed to professionalism and collegiality. ■ In addition, you have preferably completed university degree fiscal Economics (FE) or tax law (FR) and/or at least a college education Tax economy or tax law. ■ you have up to 2 years relevant work experience. ■ of course we guide you in this QuickStart function optimally. How far we go, to be able to facilitate excellent you as an employee? 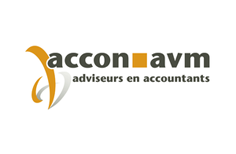 acconavm is ambitious and growth of its customers and employees important. That is why we have since 2008 its own training Institute, the acconavm academy. 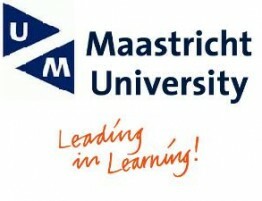 Every year many master classes, Web seminars and e-studies are offered. Because we CEDEO certified, we can grant PE points to our employees. In addition, we offer management development programs for juniors to Office Presidents, directors and managers. We also organize annual training advice and communication skills, and the ability to fill your training needs on an individual basis. Of course we offer good primary and secondary benefits, that grow with your career. The lines inside our offices are short and for our disciplines we have knowledge organized in rural knowledge centres. So you stay informed about the latest developments in your field and your knowledge is always up to date. We do this all to you and our customers grow. That is why we want to like you a lot and have contact at an early point in your career with our customers. So are you too involved and do you know how fast you can advise your client to continue growing! Do you know the way in the ever-changing tax laws and regulations? Can you empathize with the tax position of a company? If you want to get best out of your knowledge and your talents and want to realise your ambitions, you might find with us what is necessary. Training opportunities, a pleasant working environment and good facilities. Without sacrificing your night sports or relax. Like we are introduced to you and receive your cv and motivation. Within 7 days do you know whether you are invited for a conversation with a recruiter. After this conversation takes place a second call with your future Manager at the Office where you will be working. A personality questionnaire can be part of the selection process. When this positive expires, you will receive an offer with conditions of employment. Do you have questions? Please contact the recruiter for this function.